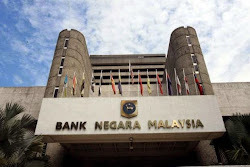 Bank Negara Malaysia is likely to cut its overnight policy rate (OPR) by 25 basis points in 2015, as the fall in the oil prices would cushion the pressure on inflation, according to UBS. The central bank last increased its OPR in July 2014 to 3.25%, after keeping it at 3% since 2011. At its last Monetary Policy Committee meeting in September 2014, it decided to maintain the rate. UBS's Singapore-based senior economist, Asean and India, Edward Teather, said inflation was unlikely to be high in Malaysia, estimating it to be 3.9% next year. This, he said, was well below the government's estimation of 4.5%. The introduction of Goods and Services Tax in April 2015 would lead to higher inflation, but would be capped by lower crude oil prices with possible increase in demand for the non-oil sector, he said. In 2015, crude oil prices was expected to average at US$70 per barrel, and in 2016 US$80, said Teather. "Higher household debt level means that Bank Negara is not going to embark on major rate-cutting cycle. "At the same time the government's revenue is going to be constraint by lower oil revenue, limiting its ability to help support the economy," he said at a conference call here today. The bank also estimated that inflation would be reduced to 2.5% in mid-2016. Teather said the Malaysian Government would be able to meet its fiscal deficit target of 3% in 2015 despite a challenging economic environment. "If the crude oil price averages around US$70 and US$75 per barrel, the government should be able to manage the situation and its deficit target could be achieved," said Teather. He said the ringgit was expected to reach the 3.50 level against the US dollar by end-2015 albeit at a slower pace, should the Asian currencies continue its downward trend against the greenback.